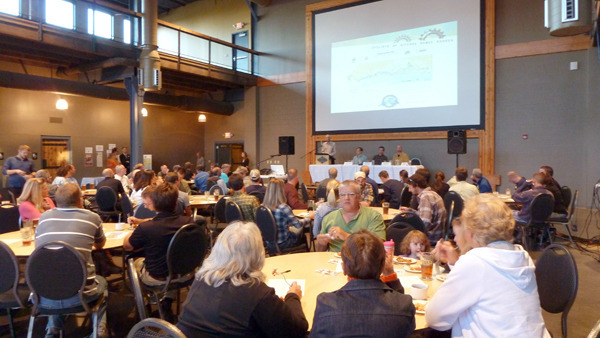 COGGS (Cyclists of Gitchee Gumee Shores) hosted a great event at Clyde Iron tonight about the Duluth Traverse trail system. The meeting was an update on the project, opened by Mayor Ness on a rousing note. 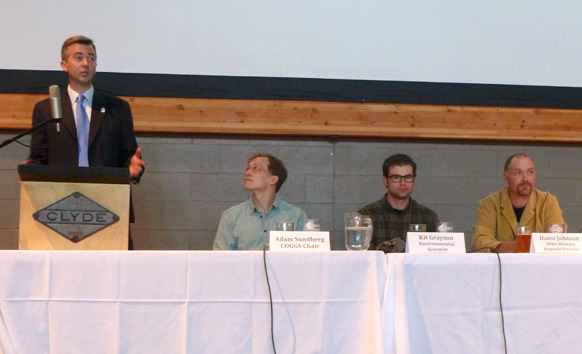 COGGS chair Adam Sundberg, Environmental Scientist Kit Grayson, IMBA representative Hansi Johnson and Duluth coordinator of trees, trails, and volunteers Judy Gibbs presented some great information on the background of the project, the current state of funding, state of the environmental assessment process, and a construction schedule for next year. It was a great use of the event space at Clyde Iron, and their huge screen. 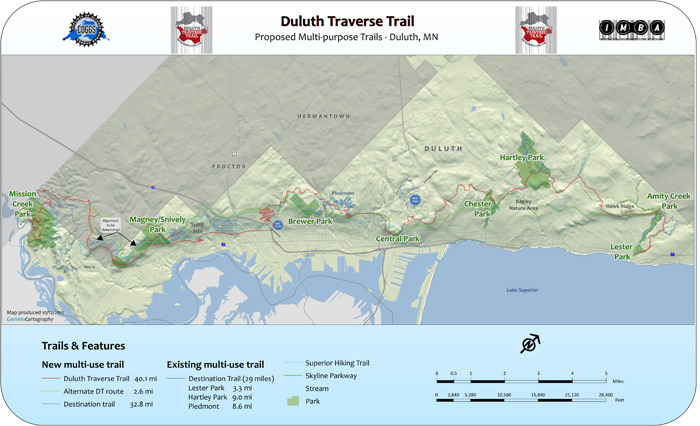 The Duluth Traverse is an awesome vison of a all-levels multi-use connecting trail ranging from Jay Cooke State Park to the Lester River. Other bike and multi-use trails will be constructed within the system, and potentially, other municipalities will link in to the system later on. It is obvious that thousands of hours have gone into brining the project to this point. Nice work to all who have co-created this vision and are bringing it into reality! Can’t wait to use it, and assist in maintaining the trail system!